Generally speaking, I’m a big fan of modern day gear. The bright colors and technical fabrics are right up my alley. Plus, the fact that I can pack for a multi day hike with around 10kg on my back (food and water not included, but still!) suits me just fine. BUT, there are definitely those days where you just want to blend in with the forest and feel nostalgic to the explorer era you never lived in. No matter how awesome it would be to dress head to toe in genuine vintage explorer gear, it’s not realistic. And heavy! But luckily for us, you and I are not the only ones with a weak spot for bygone eras and it’s pretty easy these days to pick up vintage inspired modern day gear. 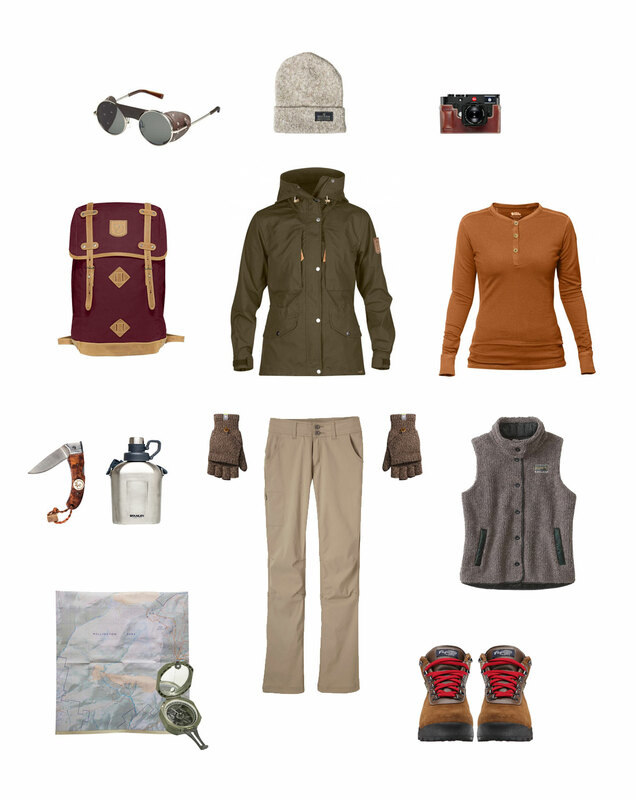 Have a look at this vintage inspired hiking outfit and make sure to tell us all about your own finds in the comments below. How awesome are these Penny Lane meets George Mallory glacier sunglasses?! The leather shield are removable so you can wear ’em in city as well as the mountains. A classic, no fuss wool beanie that will look awesome with your modern gear as well. Plus, United by Blue will remove 1 lbs of trash from the ocean for each piece sold. Win win! Pictures is the Leica M with the leather case that goes with it. But these days, you can get a leather half case for most mirrorless (and some DSLR) models. B&H stocks a pretty decent sized collection. Also make sure to do a search on Etsy for some handmade options. 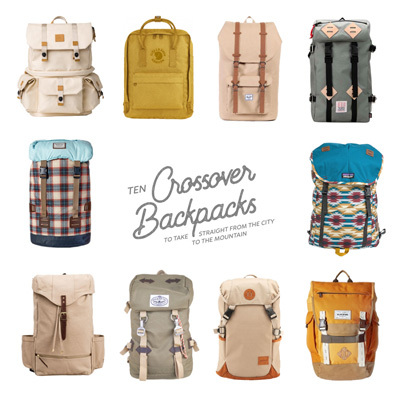 A vintage style canvas and leather rucksack that can be waterproofed with was and comes in a huge range of colors. Available for international shipping here. At 740g it’s not exactly a lightweight packable shell, but it will last you forever and timeless. Available for international shipping here and it also comes in a winter version for that vintage (faux) fur collar look. A classic button up henley to keep you warm in style. Available for international shipping here. Leave the protein bars at home for now and go for a good old fashioned apple and homemade damper with cheese cut up with a folding knife. Hydrate with a fail-proof stainless steel canteen. Yesteryear was all about khaki pants and gaiters. PrAna’s Halle Pants add the perfect color to you vintage pallet without going for the full on poofey look explorers preferred. Add some flip mitts in cold conditions. I feel so sad this vest meets waist coat number isn’t available in Australia. But hopefully it can make a great addition to your adventure wardrobe. I’m not only loving the design, but also the fact that it’s made from 100% reclaimed down and (mostly) recycled polyester. Leave Google Maps apps and your GPS at home and dust off (or read up on) your analog navigating skills. If you’re particularly rusty or new to map and compass methods, make sure to practice on a well defined track or an area you know like your own backyard. And if you don’t feel confident, you can always take the gps in your pack as a backup. Whenever you browse through reviews and see people claiming they’ve worn their pair for 20 years, you know you have a classic on your hands for good reasons. Make sure to try them on before buying or check the return policy if you shop online, because according to some reviews the fit is a bit tricky since Vasque changed manufacturing locations. Make the breaking in process a little easier with these tips to prevent blisters. And to top it off… This outfit would go great with a DIY Waling Stick.